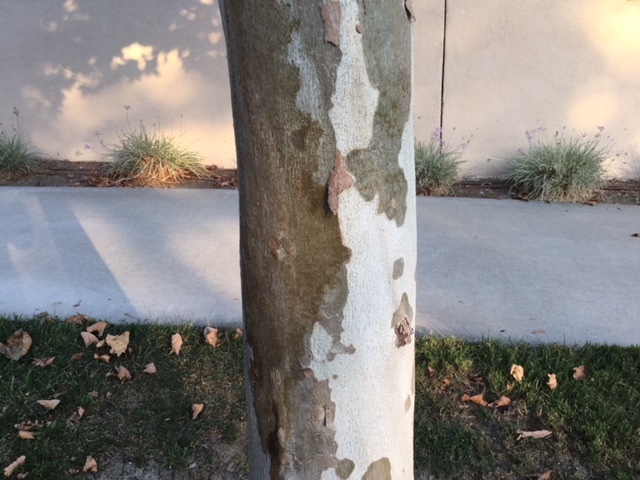 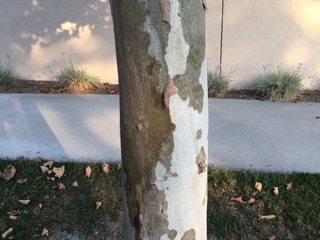 It's bark/leaves make me think it's a sycamore, but it seems too puny. 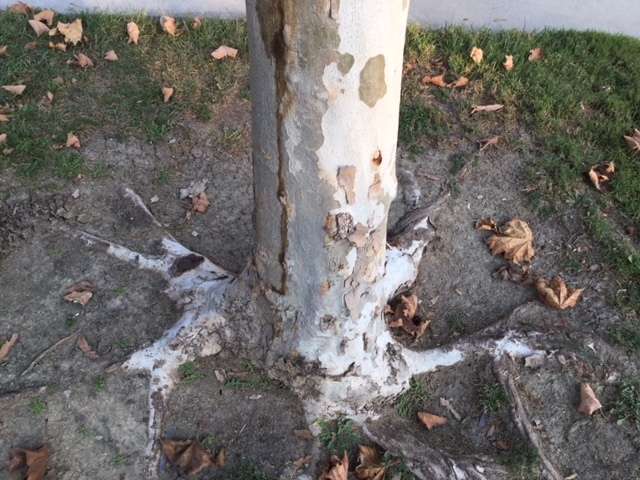 I don't think they'd plant a sycamore there... What is it? 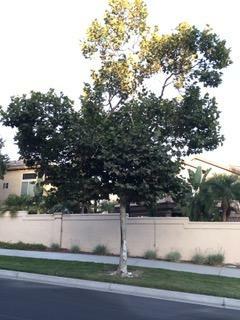 The tree is in a park/residential area in Orange County, Southern California. 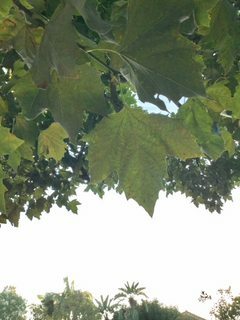 This is very likely a London planetree (Platanus × acerifolia), a hybrid species of Platanus often planted in cities. 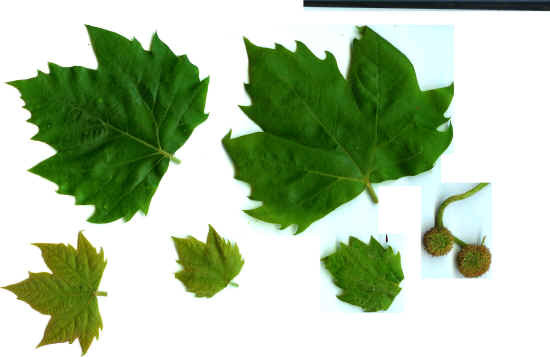 The tree is a hybrid between Platanus orientalis and Platanus occidentalis (the sycamore tree), and has characteristics intermediate between the two species. 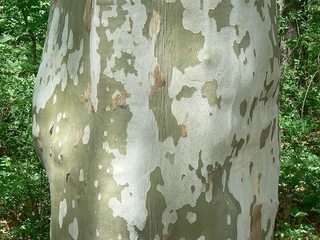 Smaller (heights of only 20-30 m vs 30-40+ m for parent species).